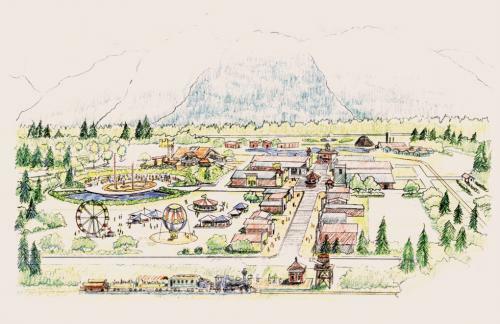 Olympic Timber Town and Heritage Center will be a place for visitors to explore the history of timber and logging on the Olympic Peninsula of Washington state. The Center is situated on 57 acres of forest land that includes wetlands, trails and lakes. 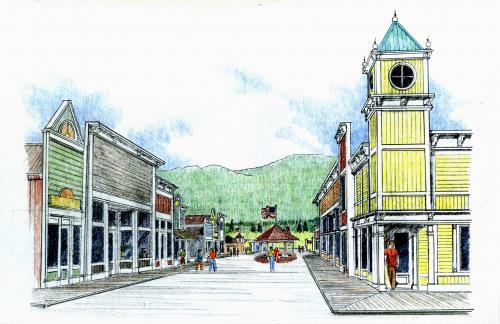 A stroll on the boardwalk in Timber Town with stops at the mercantile and specialty shops are a must. The mill, the train, the exhibition halls and the logging camp will provide opportunities to experience what life was like in a timber town at the turn of the 20th century. The Lee Embree Heritage Center will offer educational venues, static displays and an overview of the vision of the founder of Olympic Timber Town, Mr. Lee Embree.